Scott Alan helps students of ALL ages learn how to break down their walls & emotionally connect with music while expanding their voice. Start building your songbook or just allow the art of music therapy transform your health and wellness. Lessons are available in person at Scott Alan’s studio in Fort Lauderdale or over Skype. International students accepted. High school, college and vocal studio masterclasses available. 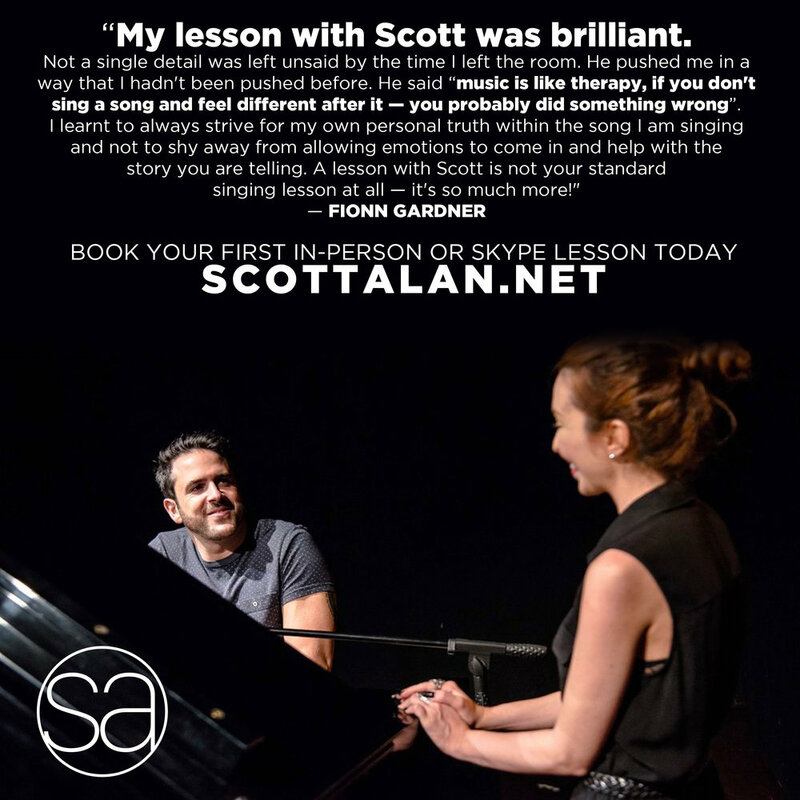 Email kevin@scottalan.net to set up your first lesson. The long-awaited new album from Scott Alan.